Get the party started with HD Oil Can Party Lights! 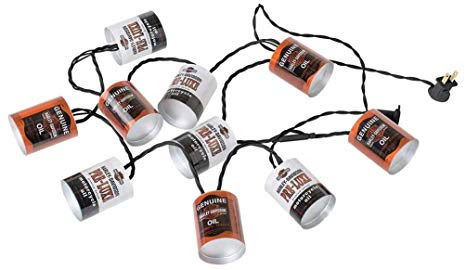 Featuring classic HD Oil Cans, this string of ten lights is perfect for both indoor and outdoor use. Connect up to three sets. Dimensions: 10 ‘ / 3 m.